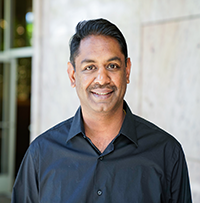 Ram Palaniappan is a financial tech entrepreneur whose mission is to create products that make money work better for everyone. At his first company, Ram began helping his employees by writing them personal checks when they needed money before payday. This hack to bring flexibility to rigid paychecks laid the foundation for Ram’s next venture, Earnin, which aims to reinvent the way people get paid and liberate the over $1 trillion held up every two weeks in the payroll system. Using the app, people are able to access a portion of the wages they’ve earned anytime they want, without waiting for payday. Earnin currently helps people from more than 25,000 companies access wages that would have otherwise been held up in the pay cycle. Ram holds an MMS from the Birla Institute of Technology and Science and an MBA from Purdue University’s Krannert School of Management.